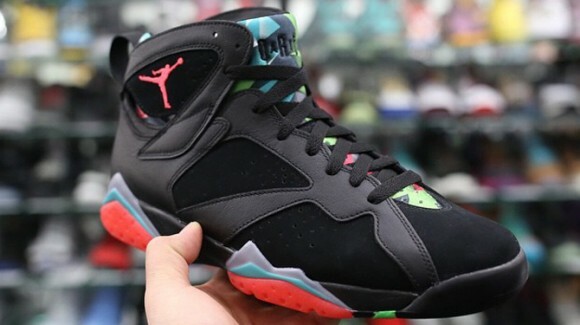 As a big fan of the Looney Tunes, and the Jordan 7 model, and this colorway, it is safe to say that these are an absolute MUST COP for me! This shoe reminds me why I love being a sneaker enthusiast. I know that this is a new colorway, and a lot of old-school Jordan heads will not appreciate that, but I happen to love them – Hyped or not. The black on black upper gives the shoe a sleek feel, especially with the remastered quality on the leather and nubuck. 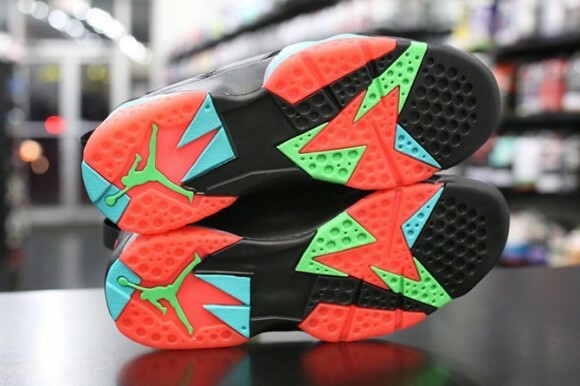 However, my favorite feature is the multicolored tongue, which is iconic for the Air Jordan 7. 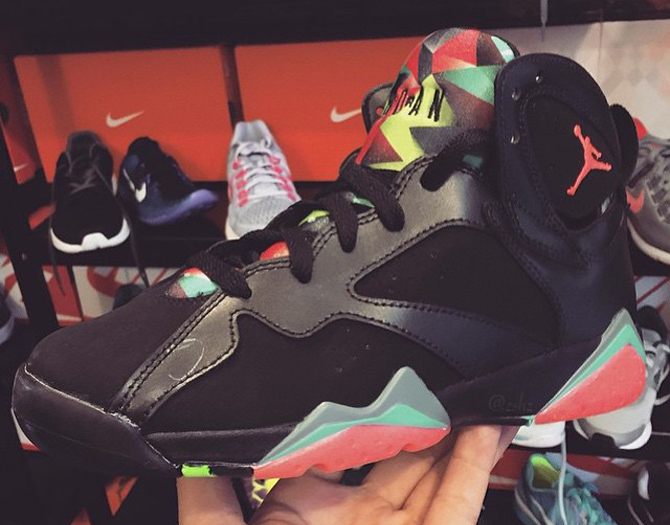 Of course, these are based off the Looney Tunes character, Marvin the Martian, so the colors are meant to represent him. As we know, MJ is very close with the beloved cartoon show. 2015 seems to have a lot in store for us as far as Jordan Brand is concerned. 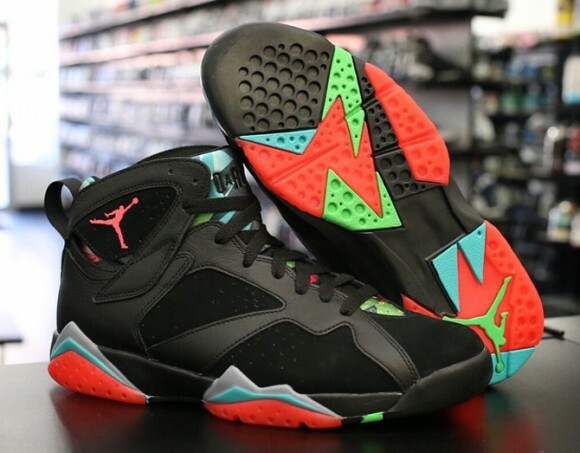 My most anticipated releases so far include three Jordan 7 retros: These (‘Marvin the Martian’), The ‘Hare’ 7s, and the possible release of the very popular ‘Bordeaux’ 7s. As more information/images of these kicks begin to surface, we will be able to tell/show you guys more about them, but it seems as though they are a GR, so sizes for the whole family should be available. Stay tuned, and share your thoughts below! Cop? or Drop? As you can see below, GS sizes will be available. TBH, These dont seem to have the same quality as the other “remastered” Jordans coming out, hopefully the retail version will feature leather nicer than it looks here. Maybe GR only versions are not “remastered”. Now we have to check to see which retro is remaster to get the top quality for all the $$$ they charge. All the retro Jordan’s should of been “remastered” quality from the being. It’s tough for me not to like a black based J. I’m onboard for these Marvin 7s.